This post has already been read 1361 times! KEARNEY – Like many college students, Summer Martinez struggles to get enough sleep at night. The University of Nebraska at Kearney freshman juggles two jobs along with her studies while also working on the requirements to become a certified nursing assistant. 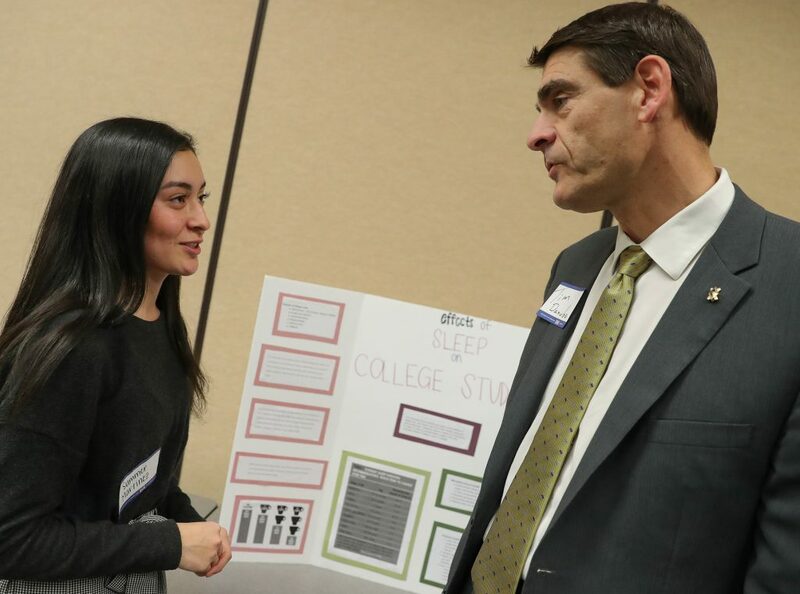 Martinez presented a research project Monday that highlighted the negative effects – mental, emotional and physical – young adults can experience when they’re not sleeping well. “It can be stressful and I feel like it’s important for people to know that not getting enough sleep can make you feel a lot more than just tired,” she said during an event showcasing students in UNK’s University Foundations course. The project was a fitting choice for a class that introduces freshmen and transfer students to life at a four-year university. The transition course has traditionally focused on areas such as time and money management, study habits, campus involvement and student support services. However, a recent revamp that involved faculty and leaders from across the university places an increased emphasis on the academic skills students will need throughout their UNK careers. Arnold said those students who fall through the cracks often do so because they aren’t prepared for the academic challenges a university presents. The University Foundations course combats this by providing one-on-one assistance aimed at improving students’ performance in the classroom while introducing them to higher-level learning concepts. “When we look at the most effective transition courses across the nation, they have this format,” Arnold said. Among the changes at UNK is the introduction of a semester-long research project that culminates with this week’s showcases. 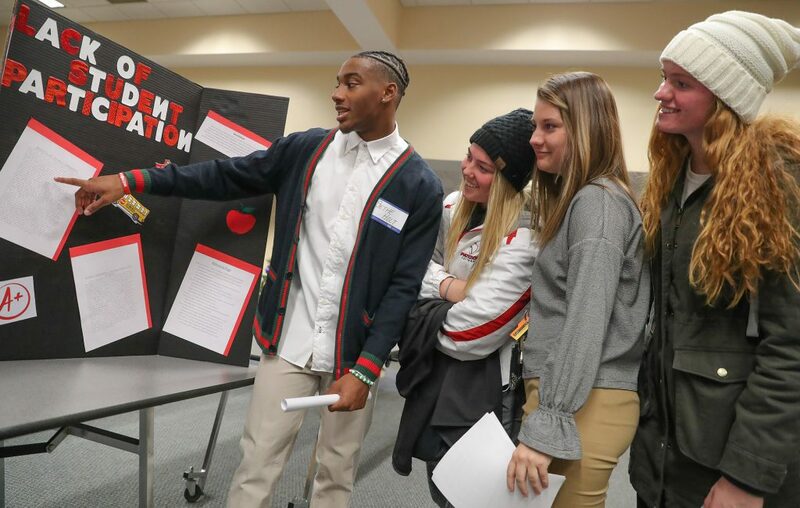 Each of the roughly 220 students enrolled in the University Foundations course selected a topic based on their own interests, then used peer-reviewed academic sources to create a short presentation and poster board outlining their discoveries. Sethe Holt, a freshman from Chicago, looked at student engagement and how it impacts academic performance. “I’ve seen people who are engaged in their education and people who aren’t,” said Holt, a sports management major and defensive back on the Loper football team. Holt said his family stressed the importance of postsecondary education, which is why he’s at UNK. The University Foundations course helped him “get into the mindset of a college freshman” and better understand how to succeed here. “College is a place where I’m trying to thrive and make something of myself,” Holt said. 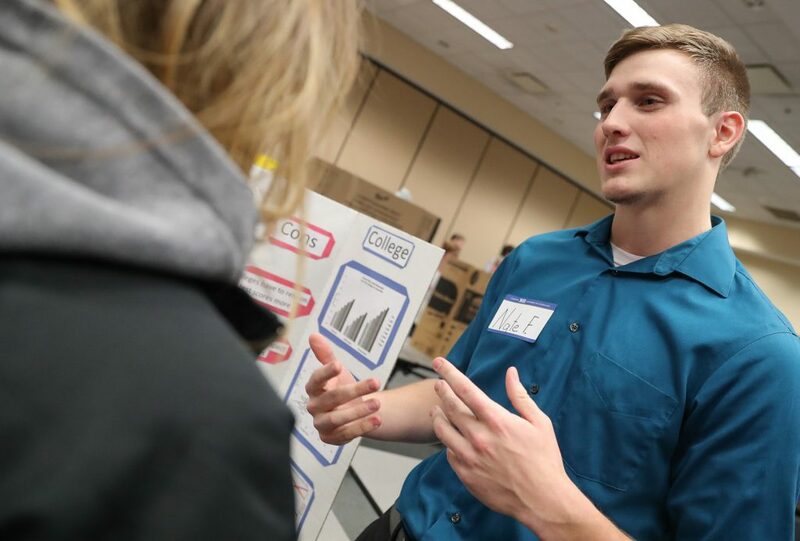 UNK students will present their University Foundations research projects 3-5 p.m. Thursday (Dec. 6) in the Nebraskan Student Union Ponderosa Room.